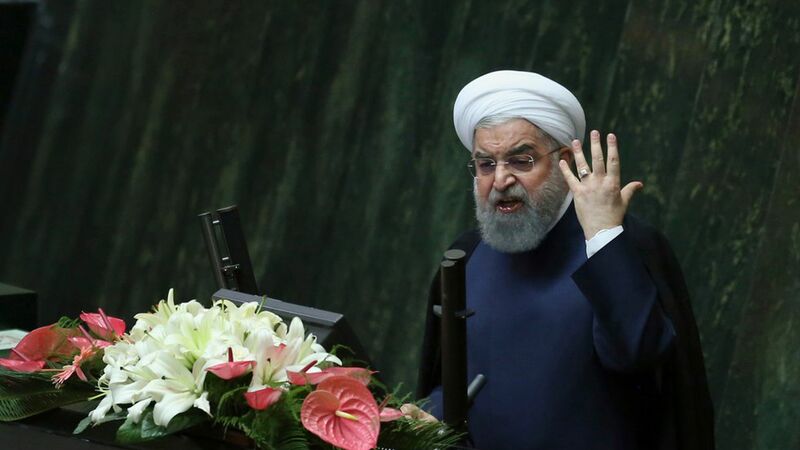 Iranian president Hassan Rouhani told CNN's Christiane Amanpour that if Trump follows through on his threats to nix the nuclear deal, America would pay "such a high cost." "Exiting such an agreement would carry a high cost for the United States of America, and I do not believe Americans would be willing to pay such a high cost for something that will be useless for them." Rouhani added that exiting the deal would "chip away at international trust placed in the" U.S. This weekend Rouhani told police officers in Tehran that the Trump administration's rhetoric "amounts to bullying." Context: The Trump administration last week re-approved sanctions waivers for Iran as part of the deal. The deadline to re-certify the deal as a whole, however, is coming mid-October. Rouhani's comments come as world leaders gather for the UN General Assembly, which Trump and Rouhani are both attending.